Milk Chocolate Foiled Leaves. Chocolate Store, the online candy store with chocolate and candy. Milk Chocolate Foiled Leaves… Autumn leaves falling past your window…always beautiful to look at, but a chore to rake. 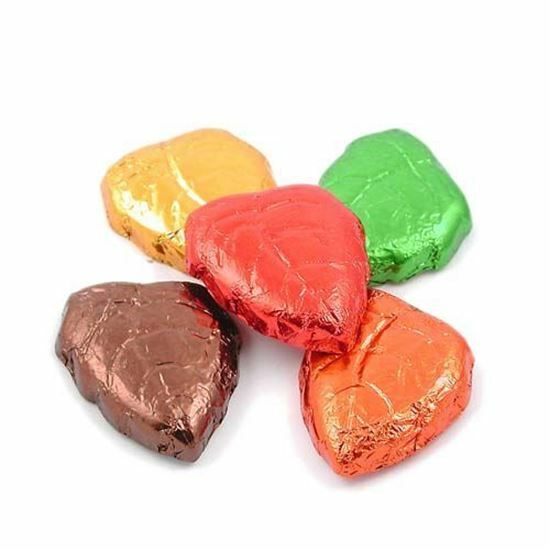 Our milk chocolate leaves foiled in green, orange, red, gold and brown are pretty too, but the best thing about them is that when you a sick of them you just peel back the foil and eat them. No fuss, no muss, no raking, just a delicious treat. About 1-1/2 inches long. Approximately 60 pieces in a pound.